Gopro vs Sony Comparisons - Which is Better in the World of Cameras? There was a point in time, not long ago, when getting professional grade action shots on a camcorder was the domain of professional videographers. With the explosion of the digital revolution in recording, several manufacturers have entered the world of affordable, durable, and high-quality action cameras. We’re going to look at the two biggest manufacturers of high-quality action cameras, GoPro vs Sony, and see how they compare. 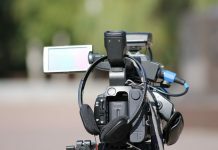 An action camera is a small camcorder or video recording device that is designed for working in high-movement situations, often in harsher than normal conditions for a camera. These types of cameras are little, sometimes as small as two inches on all dimensions. They are light, durable, and have some degree of weatherproofing. Some are even tough enough for full submersion in water without a special casing or wraparound. Other than those basic details, there can be a wide range of benefits and features included with the action cameras. The small action cameras give the shooter an easy and effective way to capture traditionally difficult scenes. In the past, if you wanted to shoot someone snowboarding or surfing, you would need a flying rig or some cumbersome protective casing. 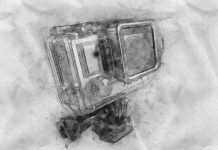 True professionals would opt for helicopters or specially rigged flotation devices to capture the action, but now anyone can just mount their little action camera to their board and hit the slopes or waves. Action cameras have truly opened up the field of expert level photography to the average consumer. This is only possible through the advancement of digital recording and micro-processing technology. There are a few common features we see repeatedly throughout this comparison. 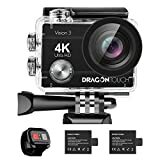 Action cameras are a specific breed, and the following options and features are things you should be aware of while reviewing different models against one and other. Action cameras are meant to be used where other cameras won’t cut it. The light weights and small bodies make them easy to mount on your person or a small, handheld pod. They are often made with splash and freeze resistant cases so they can follow you into the water or on the slopes. There are certain models that require no additional cases to make them submersible in water. So, be sure to check the requirements for waterproofing before making your purchase. The manufacturers assume that these action cameras will be seeing and experiencing a lot of movement. The rapid turns and shakes that occur while capturing an intense moment of movement can ruin the video on an average camera. Action cameras are equipped with onboard stabilizers that help keep the frame centered, stable, and smooth when moving over the subject. Since action cameras are meant to be mounted on someone or something, sometimes in hard-to-reach places, it’s important to have other options for controlling the unit other than the onboard buttons. Even when comparing GoPro vs Sony we found common features when it came to remote viewing and control. Most models have WiFi capabilities that allow you to use an app to operate the cameras. Once you have the basics covered in comparing GoPro vs Sony action cameras, you can look at the things that make each model special. There are fascinating features on some of these cameras, things you might not even know exist in a standard consumer camera. Below are some unique and interesting features we found on both Sony and GoPro cameras. The world of virtual reality is here, and now anyone can shoot for it. Spherical shooting is a technique that allows the camera to capture what’s happening around the subject from every angle. In the raw, unprocessed image, you are treated to a spinning world that seems to connect every angle. Processed for VR viewing, the image becomes a first-person view of everything that happened around the camera while shooting. This feature is also great for post-production, giving you an entire worldview to edit footage from, giving you the chance to pull a specific viewpoint from the shot and lock it to that perspective. Some models have the capability to shoot slow-motion video at varying frame rates and picture qualities. The most common is a high-definition shot at 120 frames per second, but there are several models which can go much higher, or slower, depending on how you look at it. The ability to shoot higher frame rates at higher capture qualities is definitely delivered on a sliding scale, with the more expensive models of camera giving you more hi-def options. If you want to go one step beyond the remote control of your camera, then you should try voice commands. The ability to order your camera to record, or even just snap a single shot, can make on-the-fly capture much easier. It’s a simple feature that almost seems like a given, but some cameras have not yet added this to their capabilities. One of the great reasons to get a small action camera is the versatility in how to mount it. Where traditional video shoots required tripods or other hard-mounted contraptions, action cameras can fit nearly anywhere. 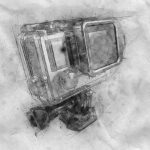 One thing to look for and consider when purchasing one of these cameras is the additional mounting configurations you can get with accessories. Not all mounts are created equal, so it’s important to rig your camera safely and securely to capture the wildest and wettest of scenes. We picked five different action cameras from each manufacturer to look at. When comparing GoPro vs Sony, the pricing averaged out to within a hundred dollars of one and other. Overall, it seemed like GoPro had a much wider range of pricing than Sony did. That makes more sense when considering the variety offered from GoPro. 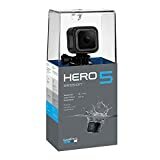 The Session and Fusion from GoPro are priced according to their suite of capabilities, so the higher price tag is warranted. Sony seems more reasonable in pricing, at least for the lower-level cameras that lacked high-definition shooting capabilities. 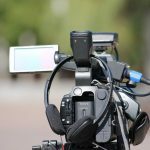 There is a lot of competition in this sector of camcorders, so Sony and GoPro aren’t just contending with one and other. Every major camcorder manufacturer has their own versions of the HERO or RX0, but none of them can compare in the quality or capability of GoPro and Sony. When people want to say photocopy, they say Xerox. When people want to say tissue, they say Kleenex. And when folks want to say action camera, they say GoPro. The maker of the first consumer-ready action cameras is at the top of the recording food chain, offering the highest quality shots for the most reasonable prices. We have looked at five of the most popular models of action camera from GoPro and break down their features for you. The GoPro vs Sony fight begins with the “black” standard: The GoPro HERO7 Black. 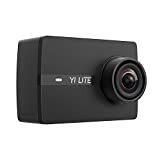 This tough and versatile action camera has one of the highest capture rates on the list, shooting 4K video and capturing still images at up to 12MPs. The HERO7 Black has built-in image stabilization with the capability to live stream. The powerful internal processing system gives gimbal-like stabilizing to the frame, making each shot smooth. This unit is available from most online electronics retailers for around $400. This item is available to purchase through most major online retailers. It is currently available through Amazon. The HERO7 White from GoPro is a small but feature-heavy action camera designed to go on whatever adventure you can throw at it. It’s not the most high-definition shooter on this list, coming in with only 1080p at 60 frames per second. The still shot lens can capture moments in up to 10MPs, making it an amazing burst camera for vacations. The body is waterproof with advanced shock protection for the minor drops and falls that occur. A nice feature for this model is the voice command module that allows you to shoot from a distance with just a verbal command. This unit is available from most online electronics retailers for around $200. 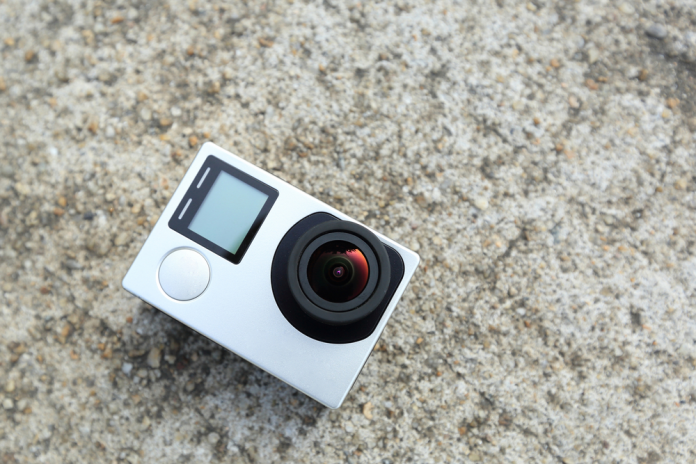 The HERO5 Session is one of the smallest action cameras on the list, coming in at under 1.5 inches square. Don’t let the tiny stature fool you, this black beauty can film in stunning 4K video and capture burst photos of up to 10MPs. The HERO5 Session has a built-in advanced video stabilizer that helps guide the frame in a smooth and continuous motion, mimicking the finest hand-held stabilizers on the market. The waterproof body is submersible up to ten meters without the need for any additional protective cases or wraparounds. This item is available to purchase through most major online retailers. It is currently available through. The GoPro Fusion is in a league of its own, even when comparing GoPro vs Sony. This action camera can shoot VR ready video in a spherical frame, giving you the option of immersing your viewers in the world you’ve captured. The ability to shoot spherical video also gives you the option to select the framing angle when you’re editing, giving you more options and less hassle at the time of capture. You can punch out the shots you love and then edit the finer details using the GoPro Application on your phone or home computer. This model can be purchased from most online electrical retailers for around $700. The HERO7 Silver is another tough camera in the competition of GoPro vs Sony, packing a lot of great features into a small, tough body. This unit is waterproof without needing any additional casing or exterior protection, which wasn’t something a lot of the Sony cameras could offer. The HERO7 Silver can shoot in glorious 4K resolution with a maximum frame rate of 60 frames per second. The onboard GPS tracker is also fine-tuned you can log and review the heights and angles you’ve shot. The Silver can also shoot up to 10MPs in a fifteen shot burst, with a fine balance between light and shadow that captures stunning photos. This item is available at most online electronics retailers for around $300. Sony is one of the most trusted camera manufacturers in the world. They know a thing or two about manufacturing high-end electronics, and their foray into the action camera world is another bold step. They have a lot of versatility built into their units, giving creative videographers and other professionals great options when shooting. Below we will talk about five of the top action cameras currently available from Sony. The Sony HDRAS50 is another tough but powerful action camera that has several capture options that give you creative versatility missing in most units. 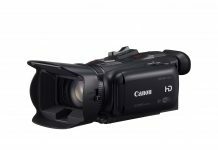 There are six different video modes to choose from, including full HD 1080p at 60 frames per second, and a time-lapse option that shoots the frame in full 4K resolution. The long-lasting, high stamina battery gives you a long charge period that can offer up to 150 hours of straight recording time. This isn’t the most powerful camera on the list, competing against some 4K options from both Sony and GoPro, but it has some features that make it invaluable to someone that wants full creative control when shooting. The 1080p capture resolution can record at a maximum of 60 frames per second, or at 720p when shooting in the slow-motion mode at 120 frames per second. The camera comes with a second piece of hardware, a wrist-mounted assistant viewfinder. The Live View remote can show you the shot at a glance without having to go to the camera itself. The Sony HDR-AZ1VR is a fierce mini action camera that brings a lot to the competition when reviewing GoPro vs Sony. This unit is available at most online electronics retailers for around $300. The Sony HDRAS300 is from the “Hydra” series of Action Cameras from the manufacturer. 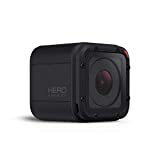 The splash-proof and freezeproof body is just the start of this little white action camera, as the supplied waterproof housing protects it from submersion in water for up to sixty meters. This camera can shoot up to 12MPs at a frame rate of 10 frames per second. The burst mode setting allows you to take further advantage of this camera by giving you the choice between ten or two frames per second increments. This makes the HDRAS300 a perfect option for recording and then reviewing tricks and athletic performances. This unit is available from most online electronics retailers for around $300. 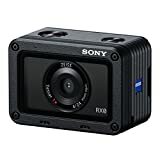 The Sony DSCRX0, also known as the RX0, is a small but durable action camera designed to deliver high-quality images with little fuss. With a high pixel count of over 15MPs that can shoot up to 16 FPS, this small black box can match any of the higher-end models on the list for quality. The RX0 has a magnificent brain inside; the BIONZ X image processor captures and processes in real time, giving you the sharpest gradients, the crispest lines, and minimizes noise in most conditions. This tough little action camera is a real contender when considering the differences between GoPro vs Sony. This unit is available from most online electronics retailers for around $600. This last entry from Sony is a full 4K Action Cam with their self-styled SteadyShot image stabilization technology. With the Balanced Optical SteadyShot system, you can capture ultra-high quality shots with a smooth glide of the frame. The FDRX3000 has a solid, tough body that’s made to withstand the elements. It’s both splash proof and freeze proof. The unit comes with a special housing that makes the entire system dustproof and completely water resistant. Sony is a solid manufacturer of electronics, making some of the best camcorders, gaming systems, and televisions. That being said, GoPro is still the industry leader when it comes to small action cameras. The GoPro models deliver a lot more bang for the buck, packing more features into smaller bodies than Sony did. There is a reason the industry shorthand for “action cameras” has become the name of the leading manufacturer. With GoPro vs Sony, we have to choose the former: GoPro is the best manufacturer of action cameras.